Asif and Naureen - Engagement Invites - Pure Black, Inc. This guy knows how to throw a party, and wanted some amazing invitations to not only welcome his guests, but to also drop the big news. 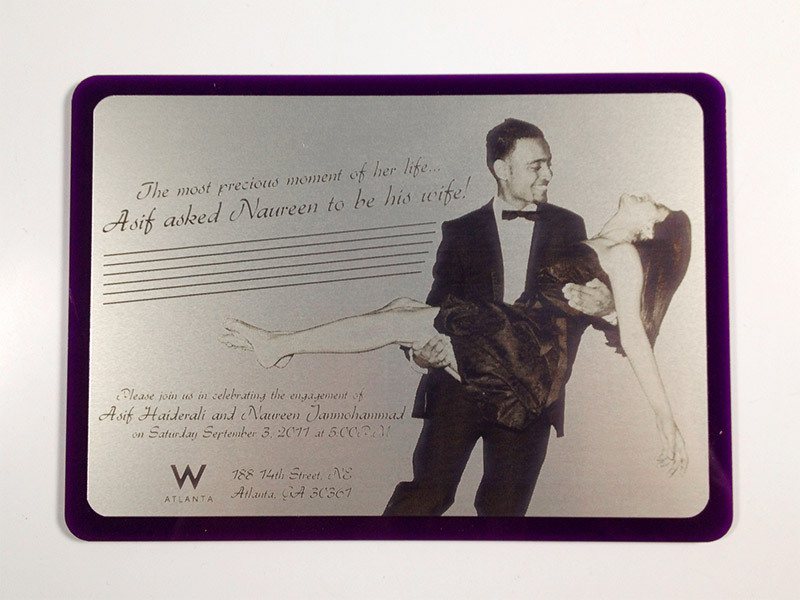 We went with an aluminum face laid over purple acrylic, using a photo engrave of him and the Mrs-to-be on the night he popped the question. 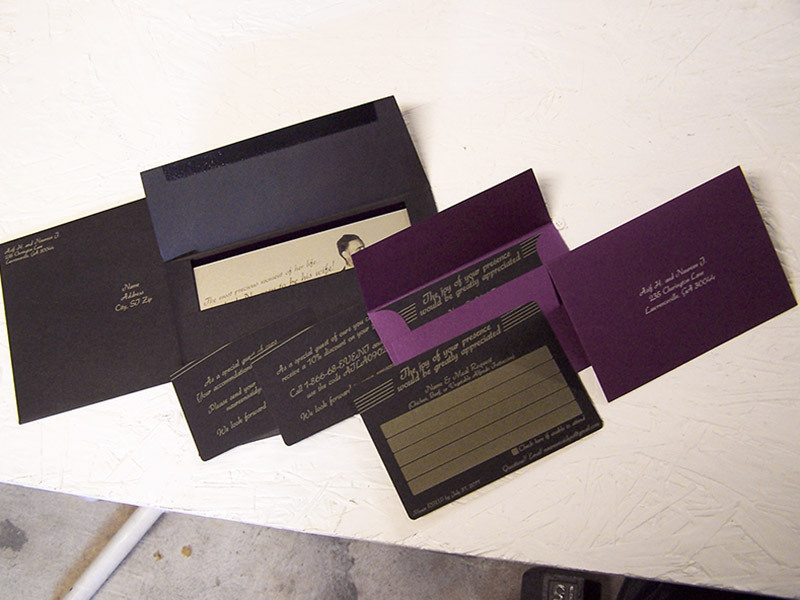 Engraved paper inserts went along with the package, as well as engraved purple envelopes. Came out beautiful, congrats!